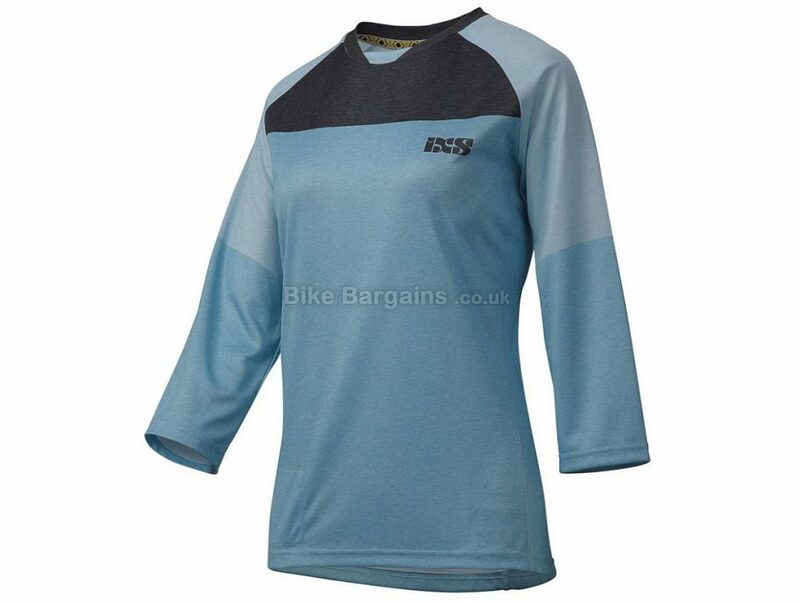 As part of their Gravity range, IXS have designed the 3/4 sleeve Women's Vibe 6.1 jersey for performance. The range is highly technical and functional but also looks great. With features like a lens wipe and mesh ventilation panels, every detail has been taken care of. The Vibe 6.1 jersey is cut specifically for women and is constructed from highly breathable 100% polyester. Mesh panels provide excellent ventilation. This fabric wicks sweat away from the skin and dries extremely quickly, to keep you comfortable. On the inside of the jersey is an integrated lens wipe, to keep your glasses dirt and fog free. Features: 3/4 sleeve, technical DH jersey with great ventilation Loose fit Fabric wicks sweat away from the skin and dries quickly Integrated lens wipe allows you to keep your glasses clean Offers Factor 50+ UV protection 100% polyester. This £13.75 Womens Vibe 6.1 Jersey deal has expired. However, you can..